UPDATE: We’ve released an eBook – “The Ultimate Guide to the iPad for Speech Pathology and Special Education”. It has all the tips and tricks you need to become an iPad master. Best of all, it’s FREE. Grab your copy here. Hey everyone, we’re back from a couple week break here on the blog! We’re hard at work on our next app, Let’s Use Language. If you’d like to learn more about that app, visit our app page here. Today’s post has some more app recommendations for you! I’m giving a talk soon here in the Boston area on technology for the visually impaired, so I wanted to share some of the apps and tools I’ve come across in the past. Some of the apps I’ll mention can help with education/ going to school and some are just to make everyday tasks easier. All of the following are high quality apps which came highly recommended from users. All the links in the post will send you straight to the app page for each app. Let’s get right into it! I’ve mentioned Evernote in previous posts because it is a universal tool that has many different applications. It can be useful for anyone but may be especially helpful for visually impaired individuals because it integrates with VoiceOver and other screen readers. 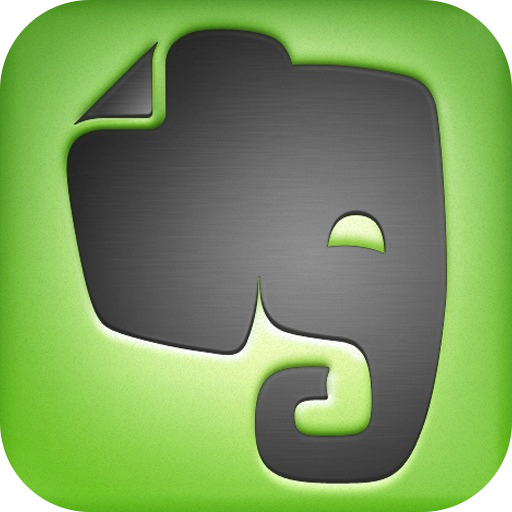 Evernote is a productivity app that lets you save and organize notes, photos, and documents. It can be used to store voice notes, photographs and text so that they can be accessed from multiple devices. It also searches photographs by scanned for text. Dragon Dictation is another versatile tool that I recommend for many students. This is a faster way to speak notes or use the keyboard than VoiceOver. You can use your voice to update social media, send notes, or reminders to yourself, and type emails or messages. Dragon Dictation on the iPad is different from using it on a computer. It won’t write as much for you on the iPad whereas Dragon on the computer can be used to write long essays and navigate the computer. The Dragon app is for quicker uses, like jotting down a note or email. This is a great tool that is also free! Voice Dream is a popular and highly rated e-reader. It comes in many different voices and languages. It also highly customizable by allowing users to select customized highlighting and font colors. What makes it so useful is the ability to integrate with a great number of software such as Bookshare, Dropbox, Evernote, Pocket, Instapaper, and Gutenberg. It is able to read PDF and word files, EPUB and Daisy readers, and web pages. People love this app because it does its job well. VM Alert will alert you when someone or something is approaching. This could be useful when going to a new place or traveling alone. I’m always looking for ways to give my students more independence and this could certainly be a tool for some. People who are visually or hearing impaired can use this app to help become more aware of their surroundings. Ariadne GPS is a mapping app that is fully accessible with VoiceOver. As you explore the area by moving your finger around the map, the app talks out loud. It gives you information about where you are and what’s around you. It has additional features of vibrating to signal crossing the street and announcing stops on public transportation. It’s available in different languages and works anywhere that Google Maps does. Talking Scientific Calculator is an easy to use calculator that speaks out loud. It works with VoiceOver. The screen options vary depending on your level of vision. You can choose from large colorful buttons or turn on high contrasting colors. You have the option to hear answers, buttons, names, and formulas. This app will also work with Braille devices. These aren’t apps, but websites that I find very helpful. Project Gutenberg is a website that offers free e-books. Their digital library consists of e-pub books and free Kindle books. They have a huge digital library of over 45,000 books. Best of all it’s free! Bookshare is another online library of e-books. It’s a free service for anyone with print disabilities, or other disabilities such as physical or learning. Members can access the books in two digital formats: Daisy reader and Braille Refreshable Format. This is an awesome tool that many of my students use. Books from both of these websites can be imported into apps like Voice Dream, mentioned above, to be read out loud! Hope these tips were helpful! If you know any other great apps let us know! Sign up for our mailing list here to stay updated with our latest therapy tips, app announcements, and blog posts. Don’t forget to follow us on Twitter, Pinterest, and like us on Facebook!